Do You Have A Pet At Home? Then You Need THIS In Your Wallet ASAP! Most of us have a pet or two at home (and the more adventurous have several!) that we love and care for. They have set meal times, set times to go on a walk, and sometimes they have medication and eye drops that need to be administered at a certain time every day. Our pets are our “babies” and the thought of leaving them home alone is unthinkable for some of us. So have you thought about what you’ll do if you ever get in an accident? If you aren’t close with your neighbors, they might not know to look out for your pets. If your family lives far away, they might not be able to get to your house in time to care for them. That’s why these are a great idea! 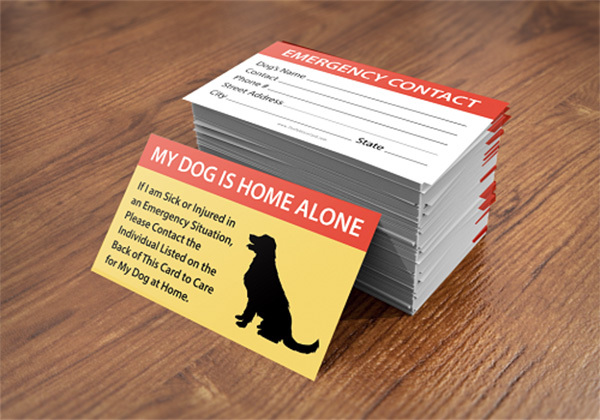 While a neighbor might not be the best choice for some, having one person, a trusted friend or family member, to have a key to your house and know how to care for your furry family members! If anything should happen to you, what will become of your pets? I don’t have a card like this in my wallet, but after thinking about this, I’m definitely adding one on top of my license! 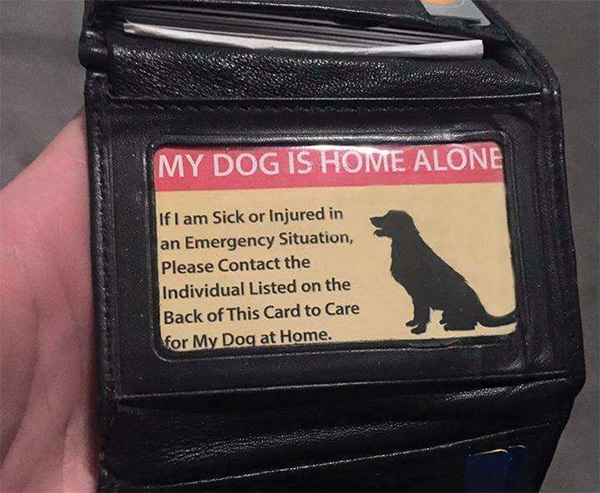 Hopefully if I ever need it, someone will use this card to care for my animals when I can’t! Do you have a card like this already? If not, get one. It could mean life or death for your pets!